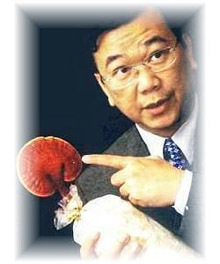 In 1983, Dr. Lim Siow Jin started his research on Ganoderma and human health. In 1993, authored the Ganotherapy after 10 years of extensive research on Ganoderma. In 1994, established DXN Global as the Founder and CEO. In 1997, conferred with Ph.D. in Holistic Medicine by the Indian Board of Alternative Medicine. In 2001, received BKM Award from Sultan Kedah of Malaysia. 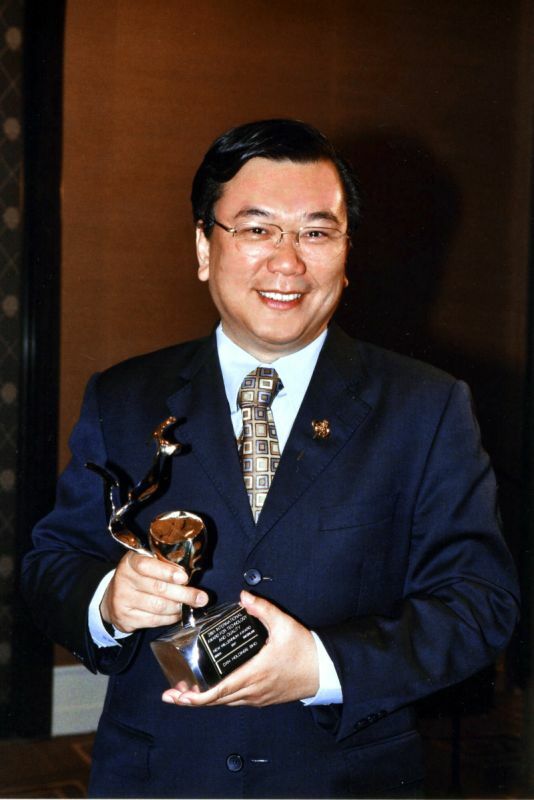 In 2001, honored as one of the Top 10 Outstanding Chinese Youth of the Year by the Youth Association, Kedah, Malaysia. In 2002, conferred with Doctorate of Science in Alternative Medicine by the Indian Board of Alternative Medicine. 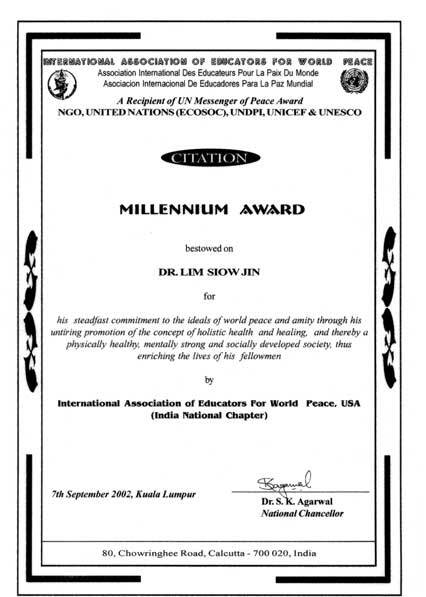 In 2002, received the Millennium Award from the International Association of Educators for World Peace, in recognition of Dr. Lim's commitment to promote world peace and goodwill through holistic health and dedication to advance a healthy, strong and socially developed society. 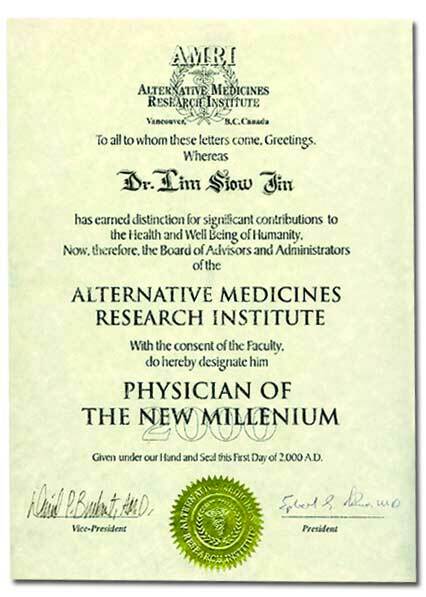 In 2002, received the Physician of the New Millennium Award from the Alternative Medicine Research Institute (Canada), for Dr. Lim's significant contribution to the health and well-being of humanity. 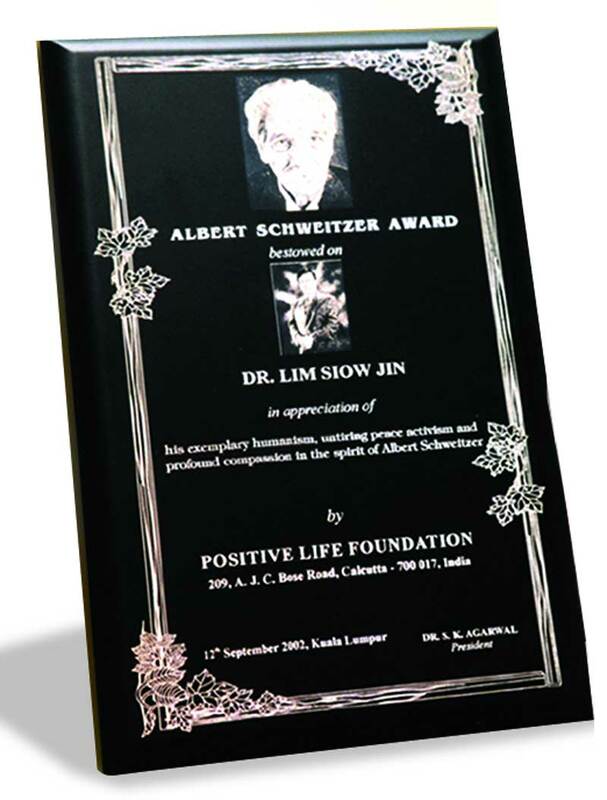 In 2002, received the Albert Schweitzer Award from the Positive Life Foundation, for his exemplary humanism, untiring peace promotion efforts, and for his compassion in the spirit of the late Albert Schweitzer, the 1953 Nobel Peace Prize winner. 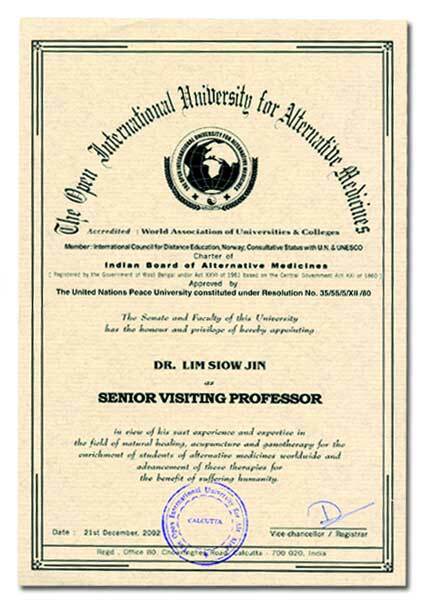 In 2002, received the Certificate of Appointment as Senior Visiting Professor (Natural Healing and Ganotherapy) from the Open International University of Alternative Medicine. In 2002, received the Certificate of Fellowship from the World Health, Environment and Peace Foundation. 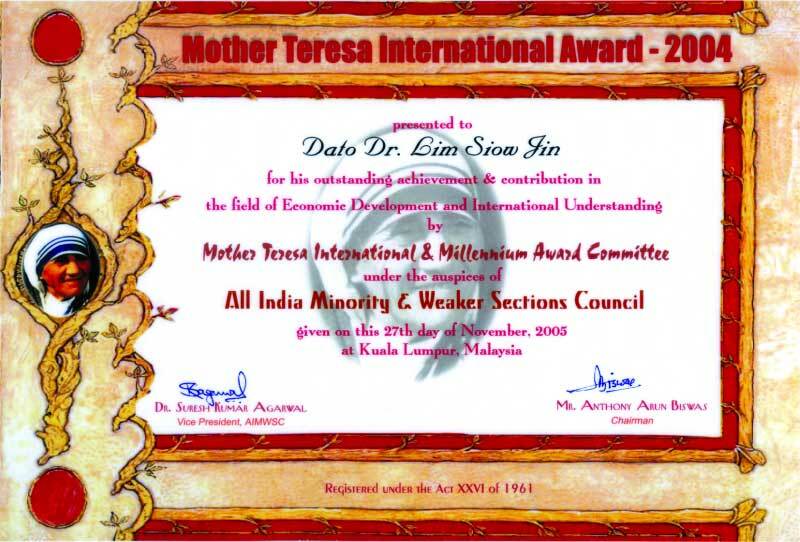 In 2004, received the Mother Teresa International Award from the Mother Teresa International & Millennium Award Committee under the auspices of All India Minority and Weaker Sections Council. 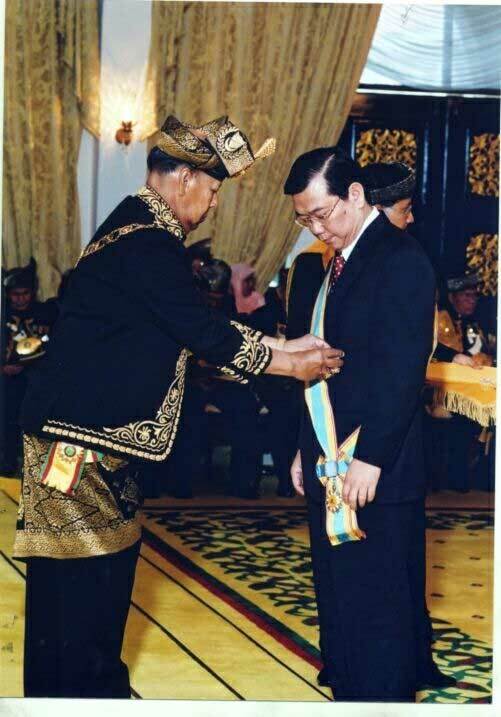 In 2005, Conferred with Datuk Setia Diraja Kedah (DSDK) Award by His Royal Highness Sultan of Kedah, Malaysia. 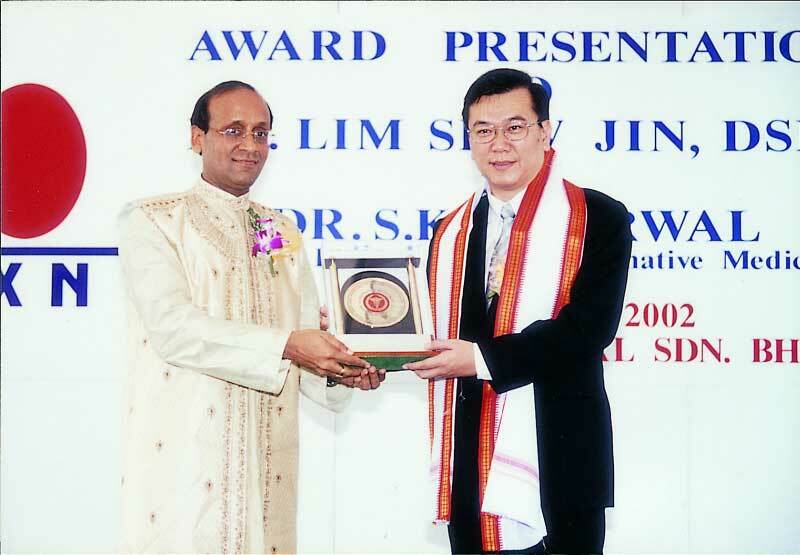 In 2006, the Golden Earth Award was presented to Dato Dr. Lim Siow Jin by the International Institute of Health Sciences, India for his contribution to mankind and for taking care of Mother Nature. 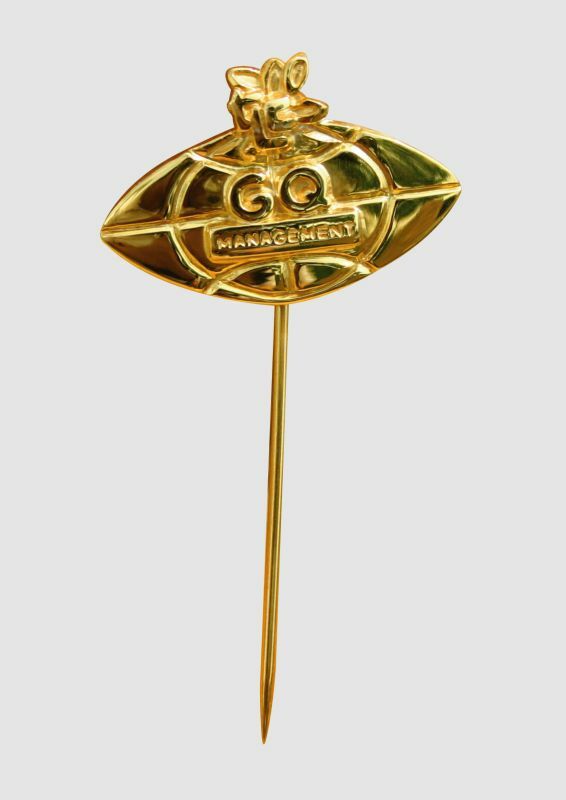 In 2007, received the Gold Badge Award - "Global Quality Management" from the Trade Leaders' Club and Editorial Office, Geneva, Switzerland. 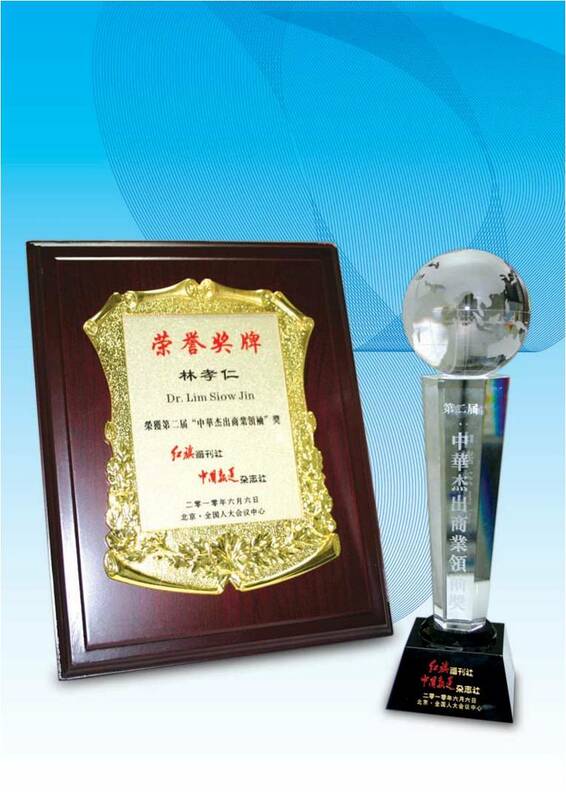 In 2007, received the New Millennium Award trophy during the 28th International Award for Technology and Quality. In 2009, has been presented with the Award of the honoris causa Degree of ACADEMIC FELLOW with rank of Professor from ACADEMIE SCIENTIFIQUE INTERNATIONALE VIE UNIVERS NATURE of TOULOUSE, France. In 2009, has been honoured as the Honorary Advisor of Peace Society Worldwide. Peace Society Worldwide is a Global Civil Organization for Universal Peace & Harmony, and working for the promotion & inculcation of the ideas & principles of world peace, harmony, tolerance, non-violence, international understanding & co-operation in conjunction with United Nations and its various agencies. In 2009, has been awarded with the Award of Excellence For Service To The Humanity by Peace Society Worldwide for his exceptional contribution to the Society. In 2010, has been bestowed the Prominent Business Leader Award in the 2nd Prominent Business Leaders Award 2010. The award ceremony was held in the conference room of the "Great Hall of the People" in Beijing, China on June 6, 2010. Dr. Lim has a deep interest in mushrooms and their relationship with human health. To understand this relationship better, Dr. Lim Siow Jin traveled far and wide in search of The King of all Herbs - Lingzhi. After more than twenty years of research and scientific analysis, Dr. Lim Siow Jin finally discovered Lingzhi - the king of herbs that would benefit all mankind. Realizing the importance and the benefits of Lingzhi, Dr. Lim began sharing his knowledge about this miraculous herb with his friends, who were greatly impressed with its beneficial medicinal value. However, Dr. Lim didn't stop there. He felt that he should form a company that would help more people know and derive the benefits of this miraculous herb. In 1993, Dr Lim's dream came true when he established DXN. DXN can now boast of its world class Lingzhi Farm and GMP (Good Manufacturing Practice) standard Pharmaceutical Factory. With operations in more than 140 countries, and with over 4 million registered distributors worldwide, DXN is solidifying its position as the world leader in Lingzhi products. As more and more people all over the world are getting aware of the Lingzhi or Ganoderma benefits, DXN memberships are increasing. Dr. Lim encourages everyone to join DXN to promote and pursue his mission and vision of a healthy human race.